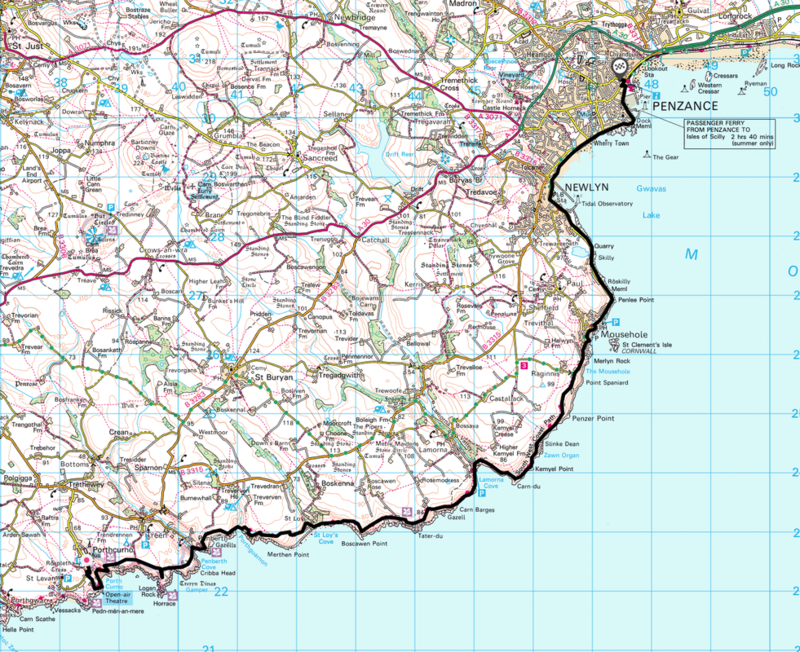 ​Caught the bus out to Porthcurno - like yesterdays journey back to Penzance it was amazing how the drivers actually manage to keep their buses intact - country lanes, tight turns - they deserve medals. 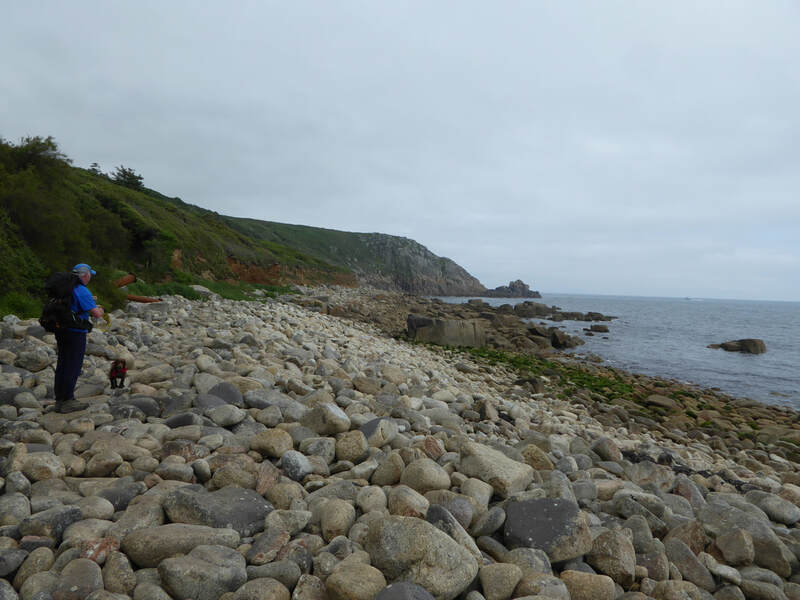 We had arranged to meet an ex Navy colleague and her husband in Porthcurno as they were holidaying in the area. Therefore we met Charlotte & Steve at the Cafe and spent a delightful couple of hours chatting and catching up. 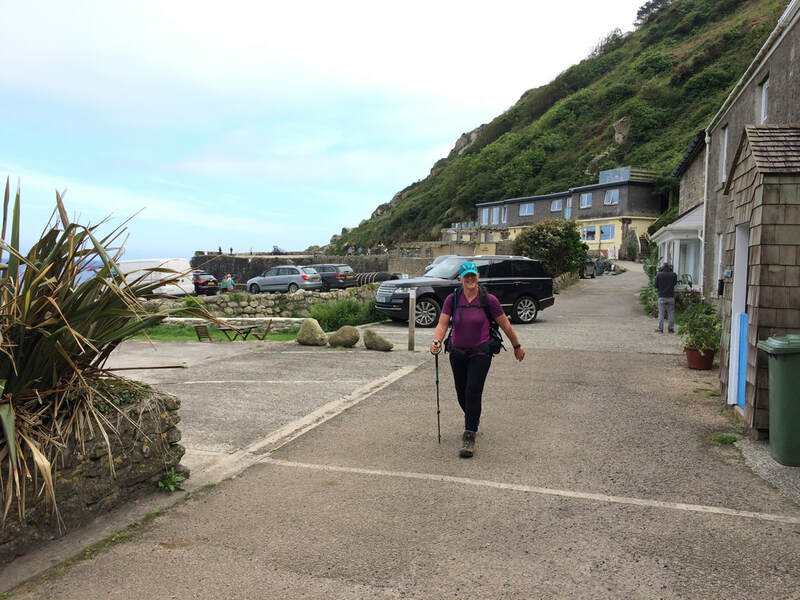 Leaving the cafe we also bumped into another ex Naval colleague who had just arrived with his wife - what a small world. 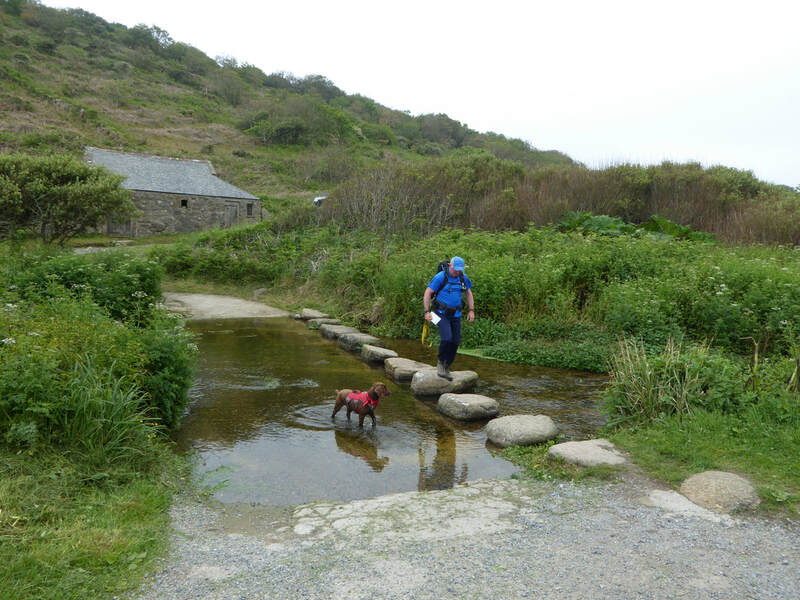 As we were only walking back to Penzance today and were in no rush we did not start out from Porthcurno until just before 1400. 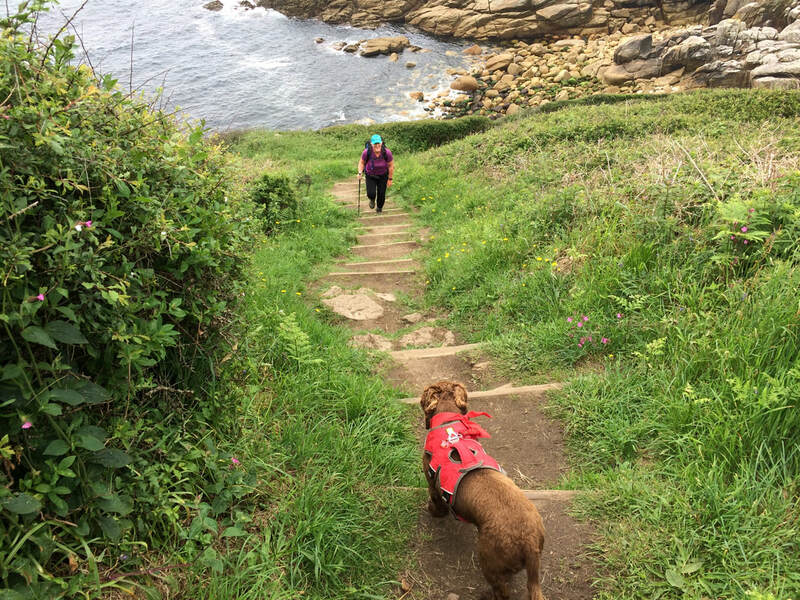 First stop was The Minack Theatre - as I had been in before a few years ago, I stayed outside with Fudge (who was unfortunately 'persona non grata') whilst Angie entered to see this amazing place for herself. 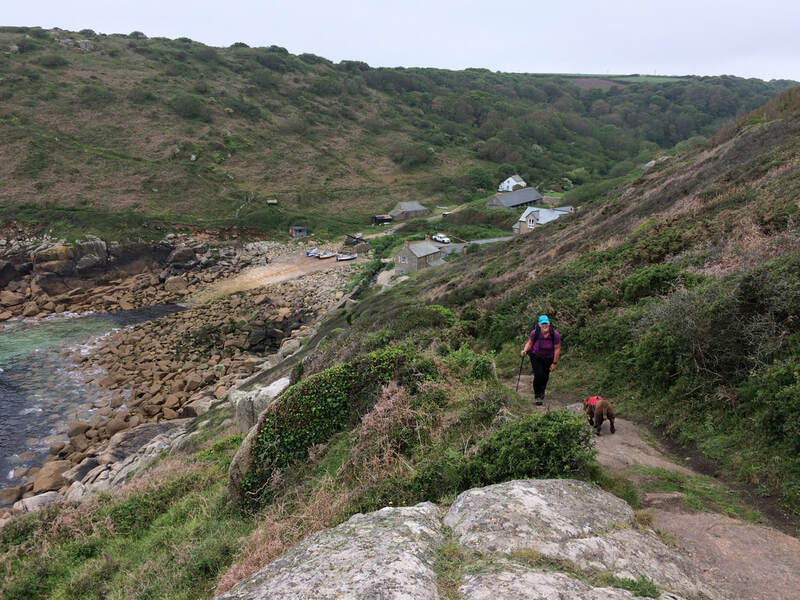 Leaving the Minack there was a steep descent to the beach at Porthcurno and then began a cracking stretch of rocky terrain - whilst this made progress slow we didn't care as this was such great walking. 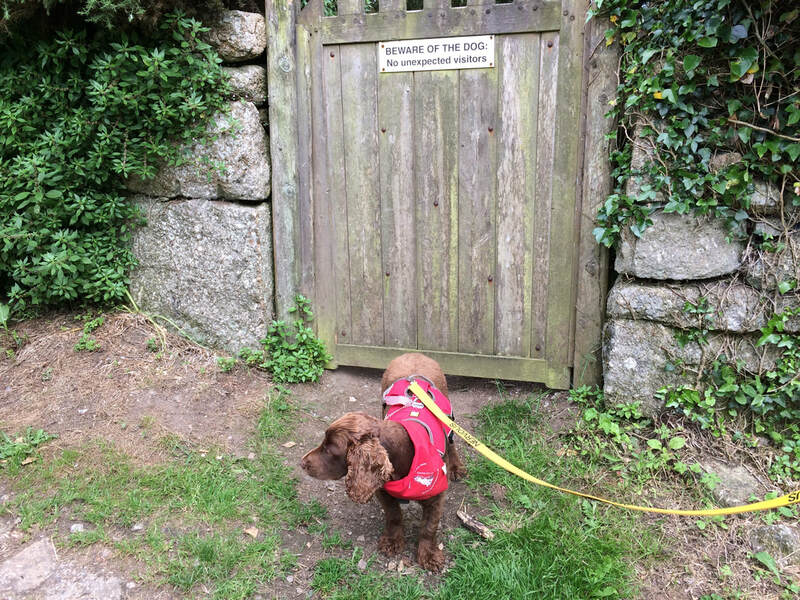 We reached Lamorna just before 1700 as the cafe was shutting up shop but we just about managed to blag a drink and some cake - the harbour is a delightful spot to sit and drink in the atmosphere. 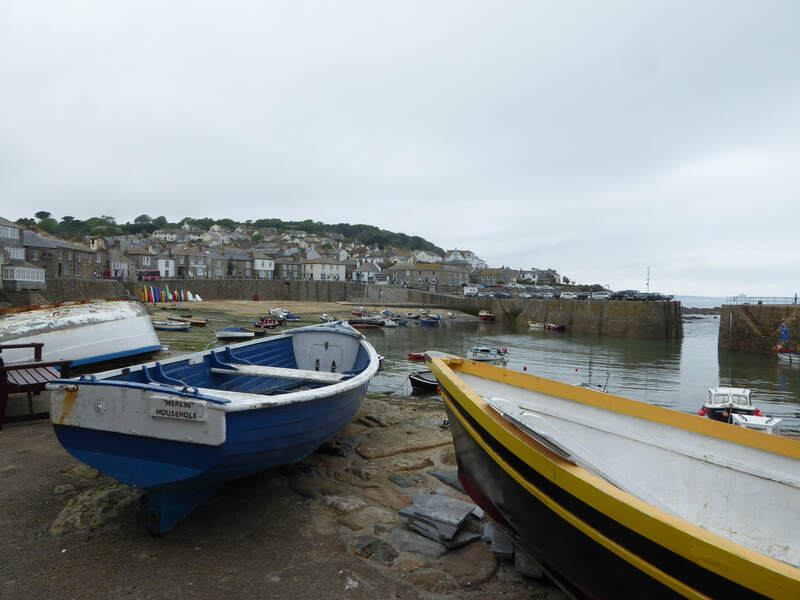 More rocky terrain followed and we eventually reached Mousehole - so quaint & lovely despite the gloominess of the hour. 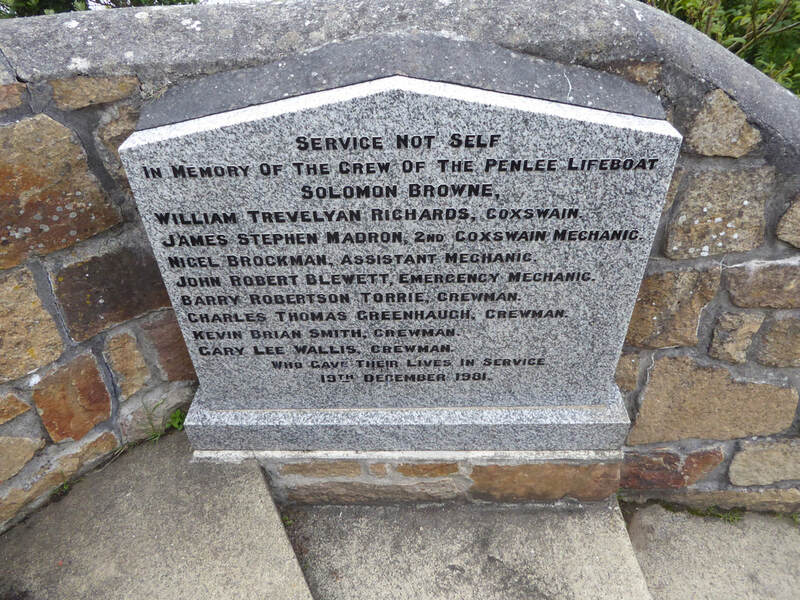 We paid our respects at the Penlee Memorial to the brave men of the RNLI who perished on that terrible night in 1981. After a short period on the road we dropped down to the cycle path and wished we hadn't bothered - rubbish & graffiti everywhere which was real shame. 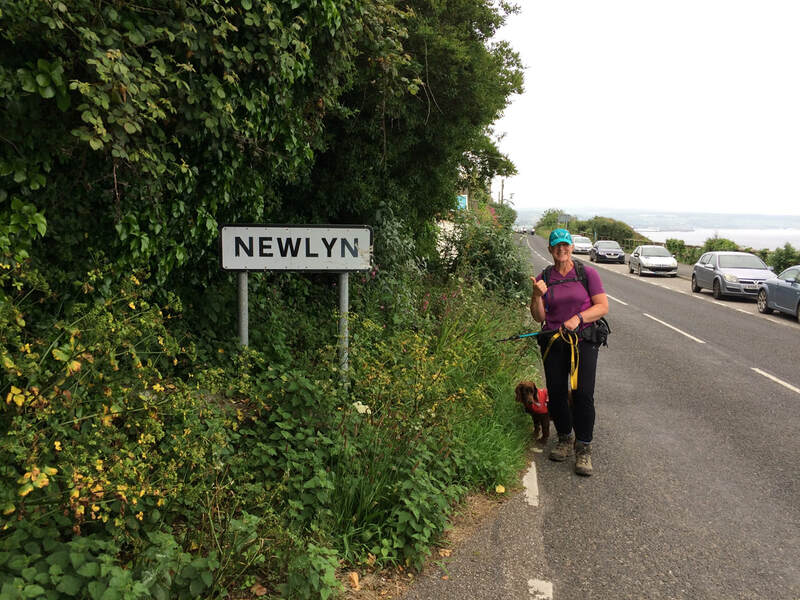 Back up on the road after a while and a long walk in to Penzance via Newlyn. Topped up supplies via the Co-op and had a carpet picnic in the cottage. 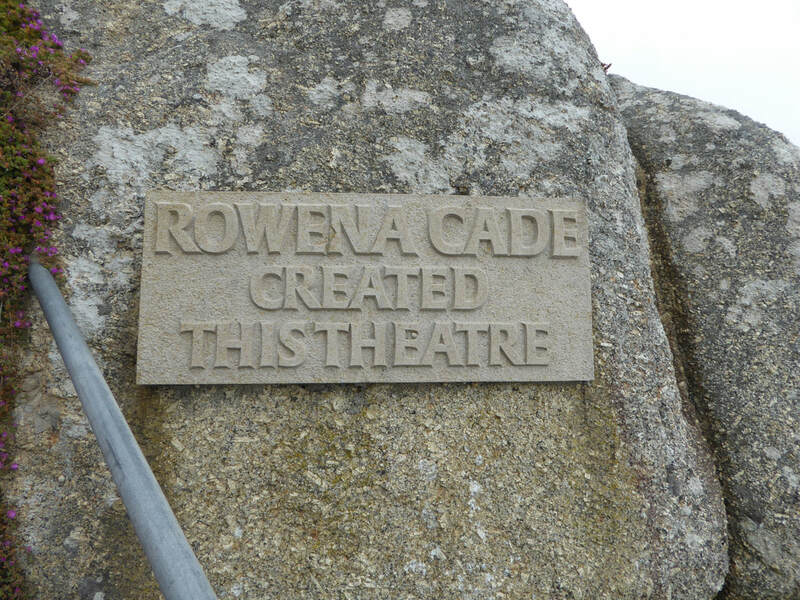 The plaque in the Minack Theatre commemorating the founder and builder Rowena Cade. 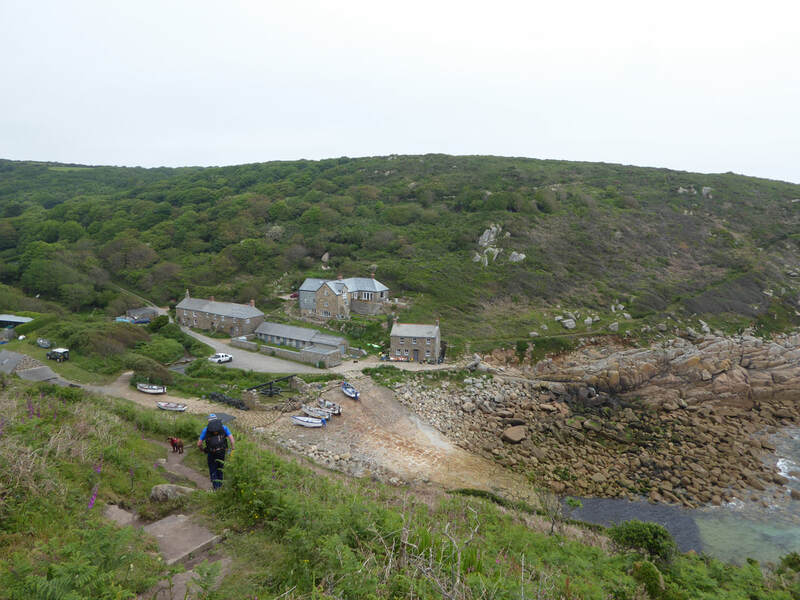 Rowena Cade discovered and bought the Minack headland in the 1920s for just a £100 and built a house there. After putting on a local production of A Midsummer Night's Dream in 1929, she began searching for a suitable venue for a permanent outdoor stage. 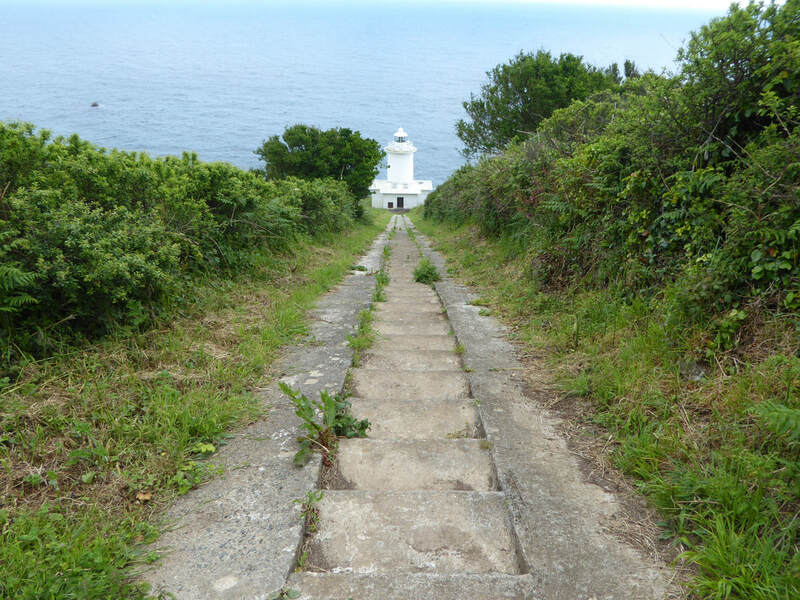 She built the theatre herself with the help of her gardner Billy Rawlings in 1931–32. 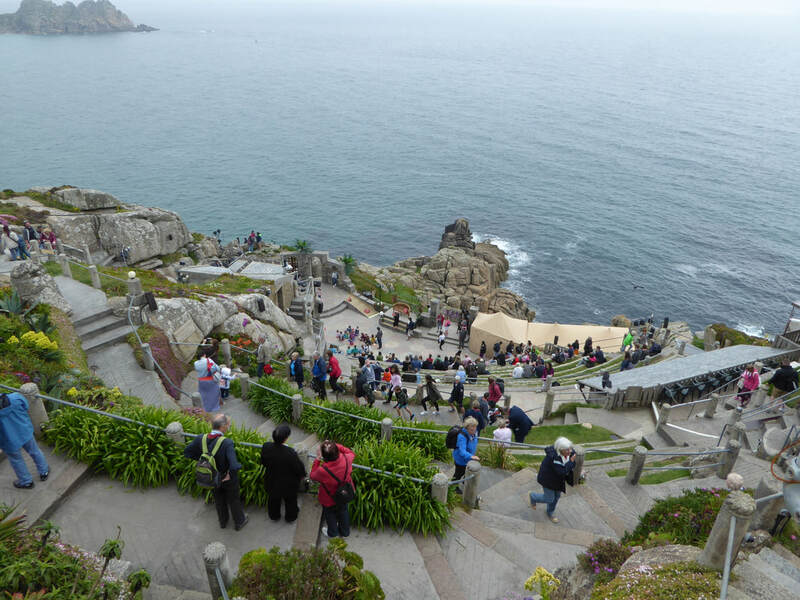 The stage took six months to build and the first performance was of Shakespeare's The Tempest in the summer of 1932. Without any formal lighting, the performance used batteries and car headlights to light the stage. In 1976, Cade gave the theatre to a charitable trust. She died on 26 March 1983. 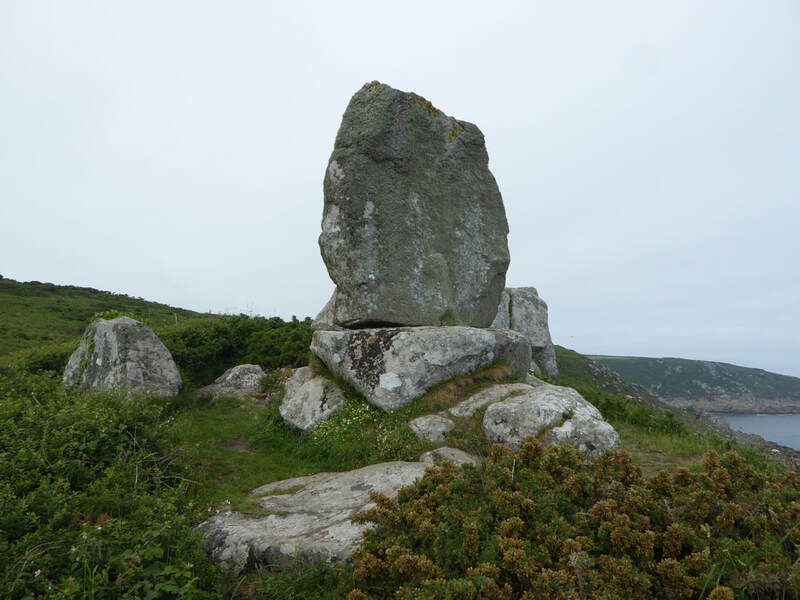 The theatre continues to flourish, is an extremely popular attraction and has founded the careers of many a famous actor. 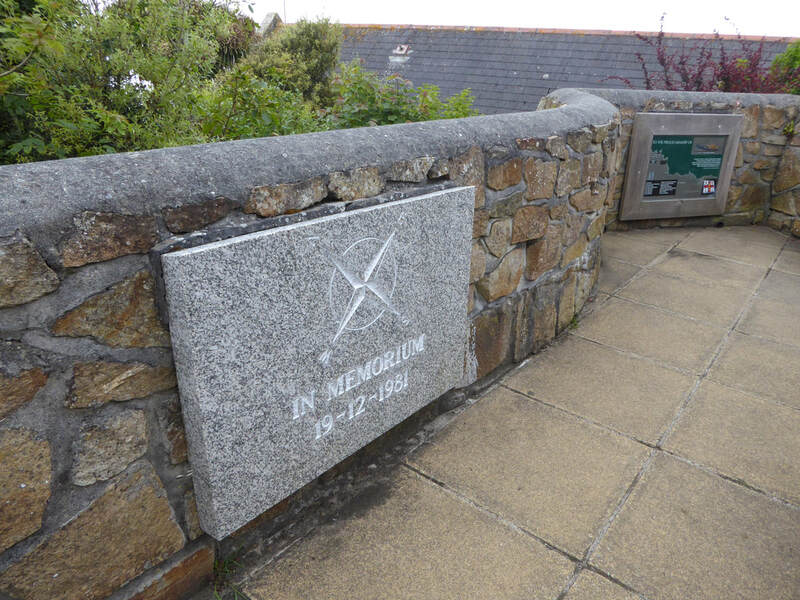 The 1981 Penlee Lifeboat Disaster Memorial at Penlee, between Newlyn & Mousehole. 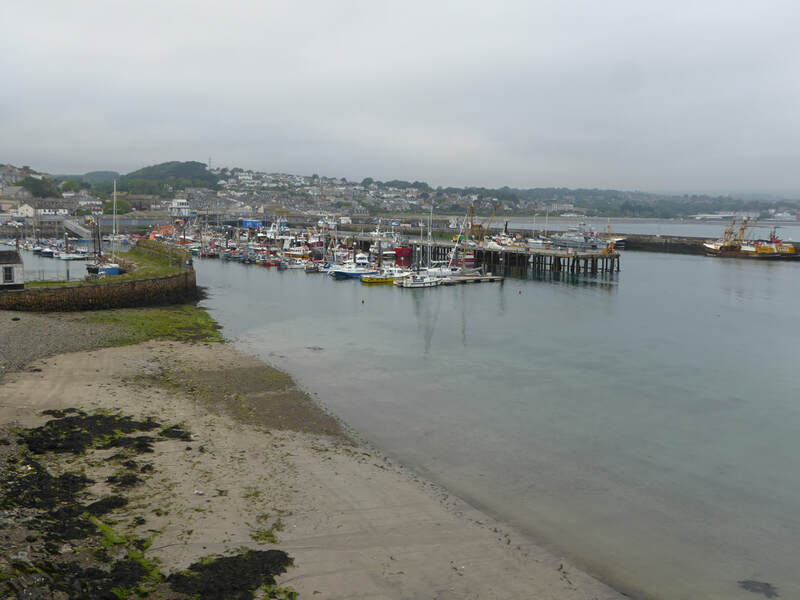 The lifeboat, the Solomon Browne went to the aid of MV Union Star after its engines failed in heavy seas. 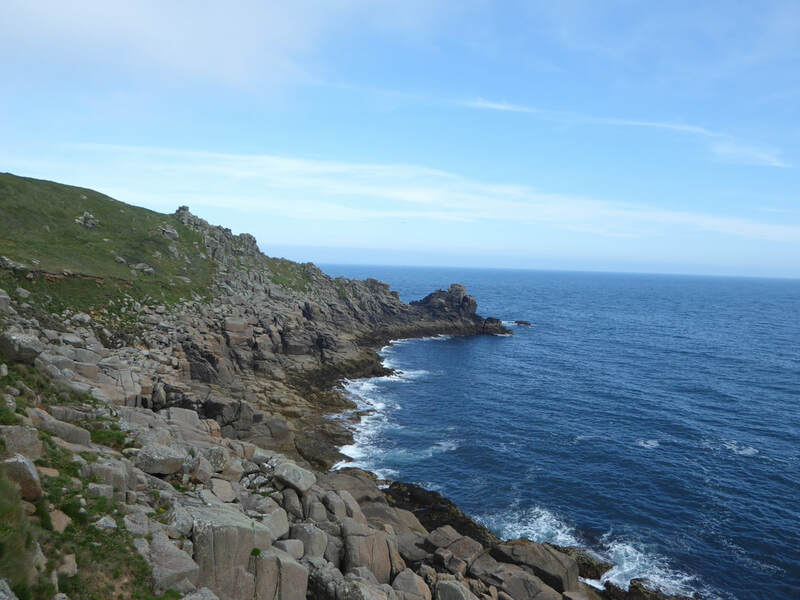 Despite the heroic efforts of the lifeboat crew in quite atrocious conditions, a total of 16 people perished - the 8 lifeboat crew and 8 from the Union Star. 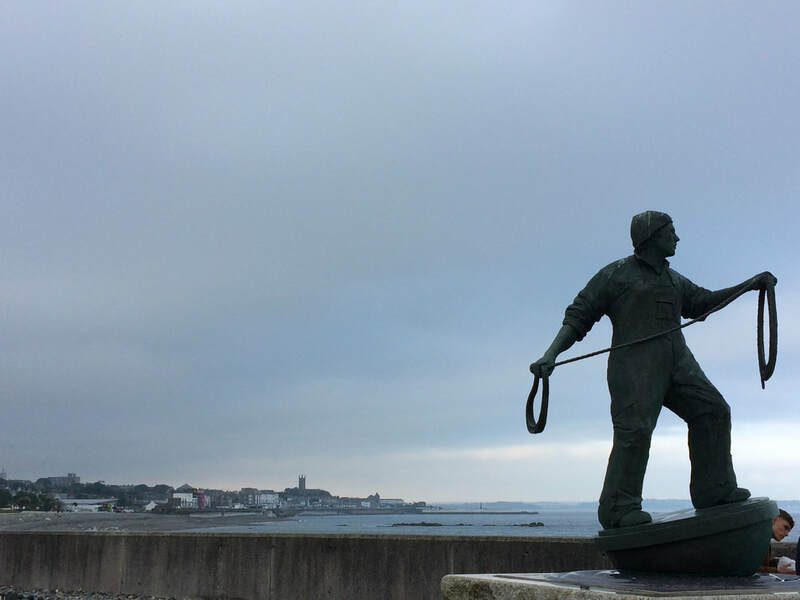 The bronze statue of a fisherman on the edge of Newlyn Green with Penzance in the distance. 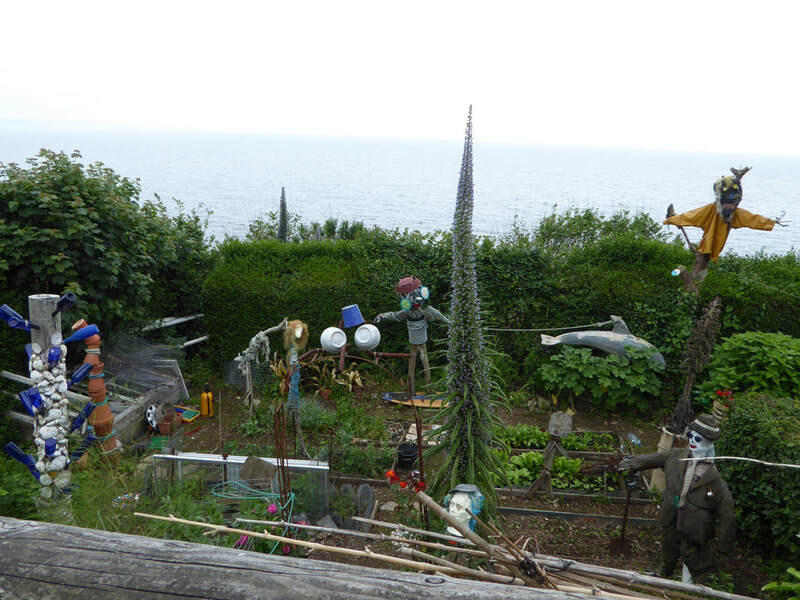 The statue shows a fisherman casting his line as the boat arrives in port. 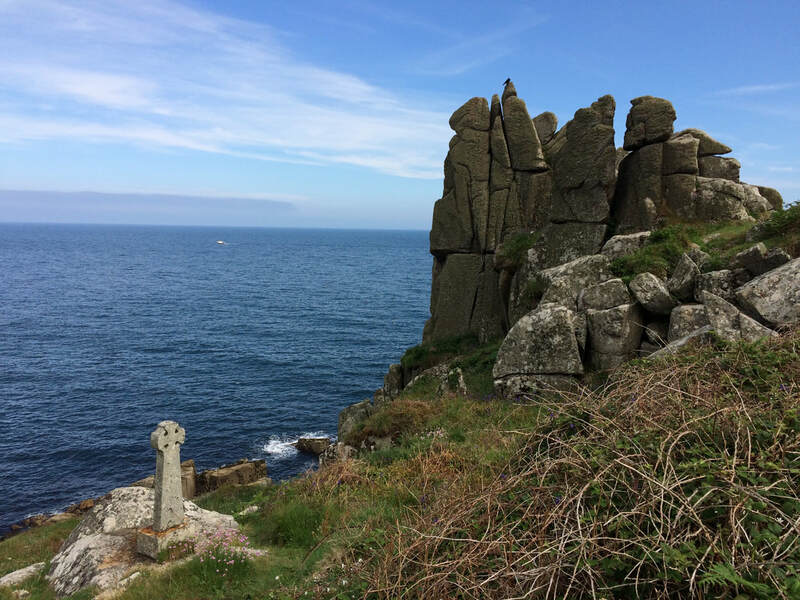 It was built to honour dead fishermen, with over twenty local men having died fishing since 1980. 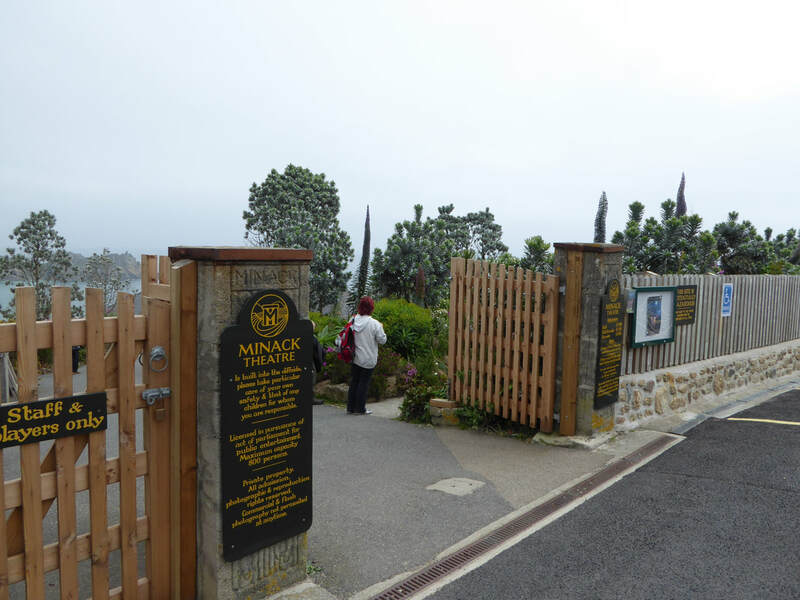 ​The statue was unveiled in 2007 by the Princess Royal.